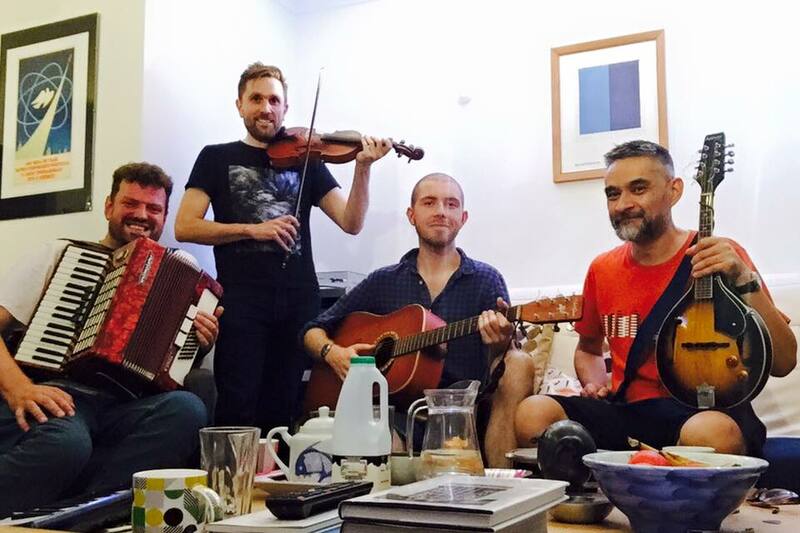 "South London's premier, international, gay and bisexual, socialist folk band (as far as we know)." 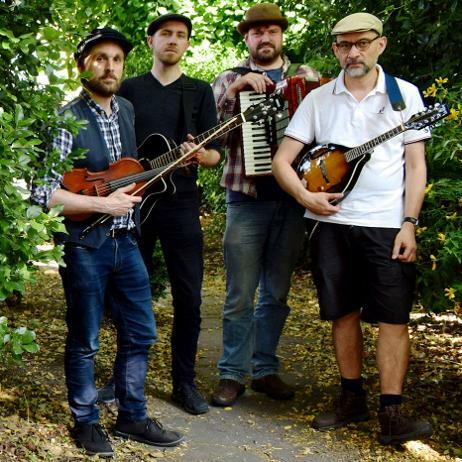 The Black Smock Band grew organically out of a series of folk nights in London in 2010. Our musical roots are in the traditions of English folk music, though we combine this with a range of influences to create our unique sound. In authentic folk fashion we sing about our own lives and the social changes we are living through. As well as writing our own material, we adapt traditional songs to explore their relevance to our own times. We're a live band at heart, and gigs range from melancholic songs of lost love to full-tilt raucous rabble-rousing that brings people to their feet to dance and sing along. We've played some exhilarating nights at a few of London's famous venues including: Bethnal Green Working Men's Club, The Jamm in Brixton, Boogaloo in Highgate, and Shoreditch Town Hall. We've been involved with various collaborations too, and are currently developing a project on the history of protest with Daedalus Theatre Company. The Black Smock Band are: Andy Bannister, Matt Beattie, Paul Burgess and Dan Cox.